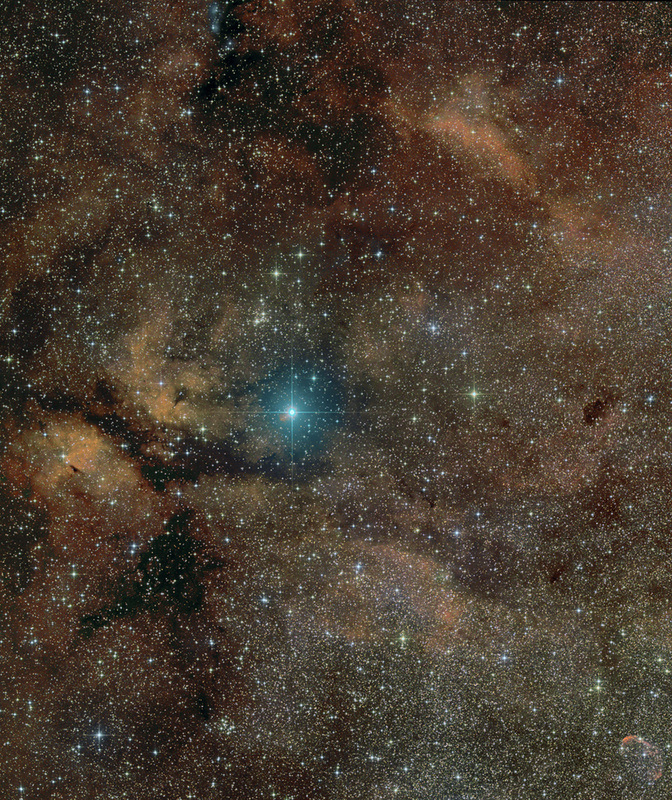 Explanation: Supergiant star Gamma Cygni lies at the center of the Northern Cross, a famous asterism in the constellation of the Swan (Cygnus). Known by the proper name Sadr, the bright star also lies at the center of this gorgeous skyscape, featuring a complex of stars, dust clouds, and glowing nebulae along the plane of our Milky Way galaxy. The field of view spans over 3 degrees (six Full Moons) on the sky and includes emission nebula IC 1318 and open star cluster NGC 6910. Left of Gamma Cygni and shaped like two glowing cosmic wings divided by a long dark dust lane, IC 1318's popular name is understandably the Butterfly Nebula. 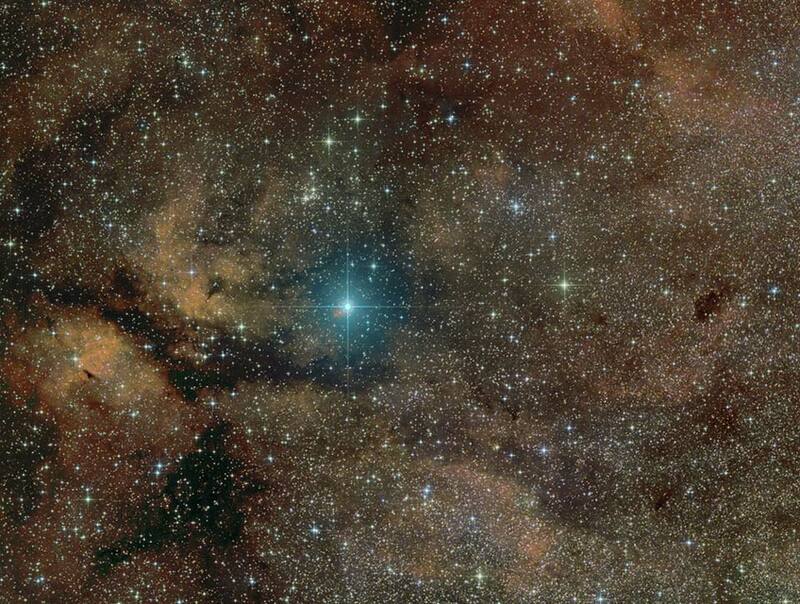 Above and slightly left of Gamma Cygni, are the young, still tightly grouped stars of NGC 6910. Some distance estimates for Gamma Cygni place it at around 750 light-years while estimates for IC 1318 and NGC 6910 range from 2,000 to 5,000 light-years.